Compare 12 leading power companies in New Zealand on their customer satisfaction. Powershop, Electric Kiwi, Energy Online, Flick Electric, Mercury Energy, Meridian Energy, Nova Energy, Pulse Energy, Contact Energy, Globug, Genesis Energy and Trustpower reviewed and rated on value for money and customer service. Canstar Blue NZ Research finalised in April 2018, published in May 2018. Powershop has edged out last year’s winner to reclaim the top spot as New Zealand’s highest-rated power company. Powershop scored five stars across most research categories in 2018, leading the way from 11 other electricity providers on customer satisfaction. 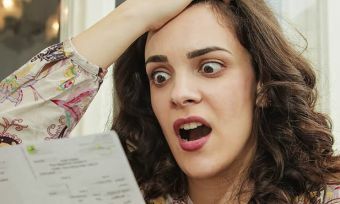 Are you anxious about your next electricity bill? You’re not alone. In fact, more than a third of the respondents (36%) that we surveyed said they worry about their power bills. Most New Zealanders seem to be rather energy-savvy, with 68% using energy saving lightbulbs, 58% saying their home is well-insulated, and slightly more than half (51%) remembering not to leave appliances on standby mode. While reducing your electricity consumption will naturally save you on energy bills, you may still be paying too much for electricity if you haven’t compared retailers to find the best price. Our research found that a disappointingly low 38% of respondents have compared electricity prices in the last 12 months, while only 14% of customers have switched. If you haven’t compared power companies for some time, you may be paying too much for power. Or maybe you’re just not getting the level of service you deserve? The good news is we are spoiled for choice when it comes to electricity retailers in New Zealand, with more than 30 companies competing for our business. But with all the competition brings confusion – how are you supposed to know which power company will offer the best service and price? That’s why Canstar Blue annually surveys thousands of electricity customers across NZ to help you make a more-informed decision. You’ll never really know how good, or bad, an energy company will be until you’ve signed up, so we think our ratings provide a very helpful guide because they are based on the real-world experiences of consumers just like you. In this year’s ratings, Powershop has taken back its throne as New Zealand’s highest-rated power company, with customers rating it five stars across most research areas, including customer service. Powershop also produced strong four-star results in value for money and bill and cost clarity. It means Powershop has topped our ratings in six out of the last seven years. Another commendable performer was last year’s winner, Electric Kiwi. While the retailer couldn’t make it two-in-a-row, it did manage five stars on value for money, bill & cost clarity and tools and advice. 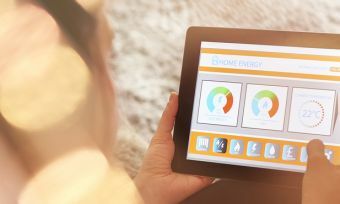 Energy Online, Flick Electric Co, Mercury Energy, Meridian Energy, Nova Energy and Pulse Energy all scored four stars for overall customer satisfaction. Contact Energy, Globug, Genesis Energy and Trustpower all received three stars for overall customer satisfaction. So with so many power companies to choose from, how do you find the right one for you? Canstar Blue has put together a guide to help you navigate the market and find the best deal to suit your preferences and needs. Your power bill has two components – fixed charges and variable charges. It will also include any additional fees, discounts, rebates and taxes that may apply. Daily fixed charge: This is a fixed charge of anywhere from 30 cents to $2 per day for standard users. This covers the cost of metering and network maintenance, and applies regardless of whether or not you use any electricity that day. Variable rate charge: This is a charge for the electricity you actually use, measured in kilowatt hours (kWh). There are different types of variable rate charges to pick from, depending on the type of meter you have. Time-of-use (TOU): Different rates apply at different times of day. Electricity is most expensive during the peak demand times and cheapest during low-demand periods. The times and rates vary across distribution networks, with TOU only available to households with smart meters. Some retailers also provide ‘spot pricing tariffs‘ whereby prices reflect the wholesale cost of energy at half-hour intervals. 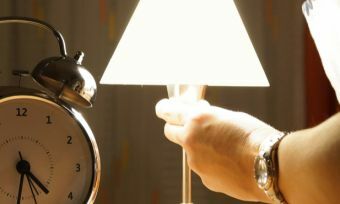 Night only: Nominated appliances are only supplied electricity for eight hours per day between the hours of 11pm and 7am. While supply availability is limited, a lower rate applies. Some retailers offer ‘Night booster’ if you need a few more hours of supply. Spot pricing is a relatively new tariff that is growing increasingly common. To understand spot pricing tariffs, you first need a basic idea of how the market operates. Essentially, generators sell electricity on a wholesale market which is then bought by electricity retailers. The price that the retailer pays on the wholesale market is called the “spot price” which will change every 30 minutes. Most retailers charge a flat rate for electricity which retailers calculate by averaging the expected spot price over the next year. Retailers will usually add a little on top of this rate to cover their own operating costs and profits. Customers on a spot pricing tariff, however, will only pay the wholesale price for electricity and retailers will cover their own costs through a daily fixed fee. This means that electricity retailers don’t profit from the amount of electricity you use. Spot prices can be incredibly volatile, so make sure you know what you’re getting into before signing up. There are two types of electricity contracts in NZ – Standard User and Low User. Some power companies may refer to these contract types by different names, but they are all principally the same. Prompt payment discount: This is a discount of around 10% to 20% for customers who pay their power bills in full and on time. Direct debit: While less common, some NZ retailers offer a small discount of a few percent to customers who pay their bill via direct debit. Email correspondence: A small discount of about 1% to 2% may be offered to customers who receive their bills and correspondence via email. Dual fuel discount: Energy providers who supply both electricity and gas sometimes provide a bonus discount to customers who have dual accounts with them. Powershop is a unique power company in the NZ market, offering what it calls “Powerpacks” – pre-purchased energy deals that Powershop customers can buy to receive lower rates or better discounts. This gives customers the power to pay in advance, pay as you go, or simply pay the old-fashioned way when you receive your bill. Powershop also gives its customers access to useful online tools and mobile apps that let them monitor and control their energy usage. Powershop is so confident in its product that it guarantees customers will save at least $150 in the first year after switching. Powershop will monitor what you would have paid with your old retailer, and if you haven’t saved at least $150, Powershop will credit you the difference. Electric Kiwi claims to be an affordable and flexible electricity retailer, offering no lock-in contracts and what it claims are “everyday low prices”. Electric Kiwi also guarantees that customers will save in their first year after switching. Electric Kiwi will monitor what new customers will have paid for power with their old retailer and if they haven’t saved, they will be credited the difference. One of the most exciting features of Electric Kiwi however, is its “hour of power”. Electric Kiwi customers nominate one hour per day during off peak period (9am-5pm & 9pm-7am) to receive free electricity – yes, 100% free electricity. Customers can use this time to run their dishwasher, washing machine, clothes dryer, car chargers or other high-use appliances to save on power. Energy Online boasts the slogan “brilliantly simple”, promoting itself as an affordable and easy to understand electricity company. Energy Online provides electricity, natural gas and bottled LPG and a 20% prompt payment discount for customers who pay their bill on time and in full. There are no fixed-term contracts or exit fees, so you’re free to leave at any time and the price plan you join on is guaranteed for 12 months. Flick Electric claims it is “totally different” to the other power companies. While most retailers charge a fixed price for electricity, which is adjusted to incorporate its profit margins, Flick Electric only passes through the wholesale price of electricity. That means Flick Energy doesn’t benefit from its customers using more power, so it has genuine incentive to help them save. Flick Energy instead makes its revenue by charging a daily fixed “retailer charge”. Flick Electric also says it endeavours to be transparent, with live price alerts on spot prices and weekly billing to keep bills manageable. Pulse Energy is a New Zealand community-owned energy company, supplying electricity, gas and solar to more than 70,000 households throughout the country. Pulse Energy says it could beat the electricity rates you are currently on with its ‘Price Promise’ but terms and conditions apply. 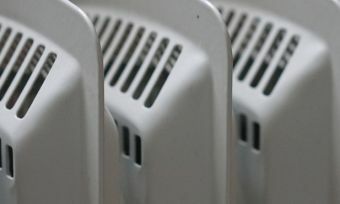 It also says it offers customers a low price upfront, ‘Price Protection’ on their energy rate for two years (again conditions apply), and no long-term contracts. Meridian Energy is one of the largest renewable generators in the Oceania region. Its attitude towards sustainability is reflected in its retail services, with all its electricity being sourced from wind and water whenever possible. Meridian Energy recently replaced prompt payment discounts as it considers them fundamentally unfair. The company now offers a new lower rate for a simpler and fairer approach for everyone, it says. There are regular and changing offers for new customers. Nova Energy says it takes pride in its down to earth customer service and straightforward approach to energy. Nova Energy has two products for residential power customers – the Home Freedom Plan and the Home Advantage Plan. The Home Freedom Plan is simple, with variable pricing and no fixed contract term or early termination fees. The Home Advantage Plan gives customers $100 signup credit and fixes the rates you pay on electricity until 2020 – protecting you from the cost of rising power prices. Mercury Energy is another environmentally-focused retailer which generates 100% of the power it supplies customers from renewable sources. Customers that sign up online can receive a 10% prompt payment discount, plus an additional 2% if you agree to pay email and direct debit billing. Customers also receive a number of bonuses, including Airpoints with Air New Zealand, $250 off electric scooters and up to $500 off electric bikes. 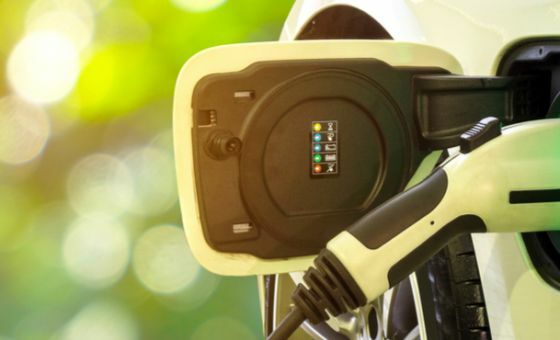 Mercury Energy also has special deals for any customers with electric vehicles. Genesis Energy owns Energy Online, which it says makes it the largest electricity and gas retailer in the country. Genesis has three plans – a flexible plan, $100 credit plan and $200 credit plan. The $100 and $200 credit options are on fixed 12 month and 24 month contracts respectively. Each comes with a 10% prompt payment discount and customers can earn flybuys points for every dollar they spend on power bills. The flexible plan also has a discount, however there is no fixed plan or exit fee. Customers on the flexible plan also earn twice the rate of flybuys points. Globug lets customers pay their power bills as they go, which it says makes it much easier to manage your electricity spending. The Globug app lets you monitor your electricity usage and pay towards your account whenever you feel like. There are no penalties or payment fees, so you have complete control over your power spending. While Globug will send you alerts when your balance is low, customers must be proactive in keeping on top of their energy account. Contact Energy is an integrated electricity retailer and generator, as well as a home internet supplier. It has three electricity products on offer: Saver Plus, Freedom and Fuel Rewards Plus. The Saver Plus fixes customers’ energy rates until June 2020 and includes a 20% prompt payment discount. Customers can also receive additional discounts for signing up to e-billing, direct debit and dual fuel for a maximum discount of 24%. Contact Energy also throws in a $150 discount. The freedom deal also has a potential electricity discount of 24%. It has no fixed terms or exit fees, so you’re free to leave at any time. Finally, the Fuel Rewards Plus is a fixed-rate deal with a potential 22% discount. It also has a fuel discount of $2.50 off per litre up to 50 litres per month. Trustpower is a bundled electricity, gas and broadband provider. Trustpower says it believes in tailored solutions for its customers and has a “plan builder” that lets new customers create a deal based on their own circumstances. Trustpower customers are billed monthly and will receive a 15% prompt payment discount if they pay in full and on time. 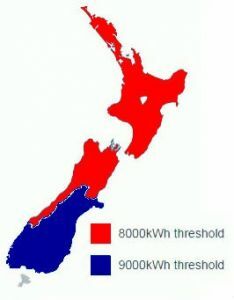 What is the cheapest power company in New Zealand? A large proportion of the rates that you’re charged for electricity are attributed to distributor costs, meaning the price you pay will vary across different distribution networks. Perhaps factor in potential price of energy if you’re considering moving to an area that straddles multiple networks. Finding the best deal on energy is all about getting up and making the effort. You have plenty to choose from, so there is no reason you should be paying more for electricity than you need to. 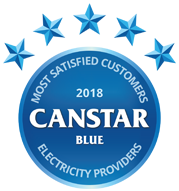 Canstar Blue’s customer satisfaction ratings provide a great insight to help you start comparing, but it’s important to understand your energy needs and find the deal best tailored to you. So get out there and take the power back in your hands. Good luck! Canstar Blue commissioned I-view to survey 5,000 New Zealand consumers across a range of categories to measure and track customer satisfaction. The outcomes reported are the results from customers who have an electricity account in their name and pay the bills – in this case, 4,251 New Zealanders. If you have lots of appliances running during the night, it could pay to switch to a night time electricity tariff.